Let the outdoor games begin! 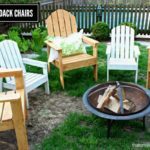 The weather has turned and we can now make the most of our outdoor spaces. 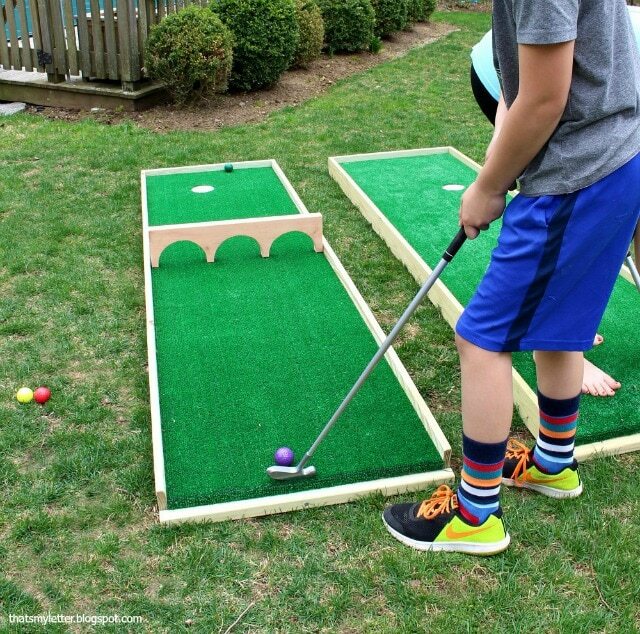 I recently added this diy mini putt course outdoor game to our backyard space and I’m sharing the free plans with you. 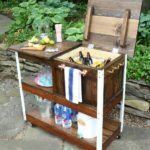 All the details including cut lists and step by step instructions are over at Ryobi Nation along with many more outdoor games you’ll want to consider adding to your outdoor space. BONUS! 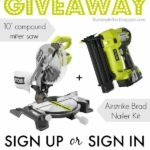 I have a Ryobi tools giveaway down below! 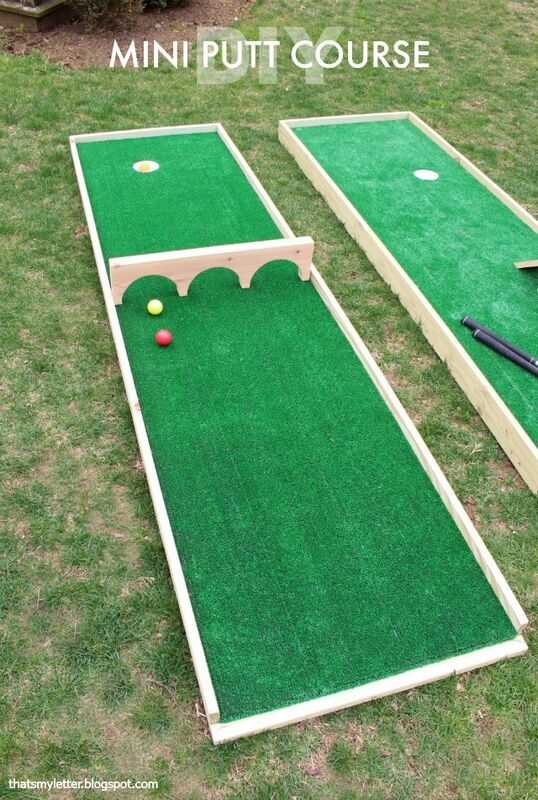 You can build two mini putt course tracks from one sheet of plywood and one artificial grass rug and then players can compete! 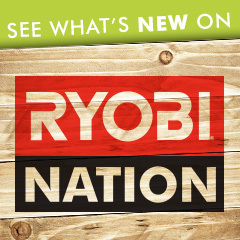 Follow the building instructions over at Ryobi Nation, be sure to scroll down below for a few tips and to enter the Ryobi tools giveaway. To make the hole I used a 3″ PVC plumbing cap at 1 1/2″ deep. 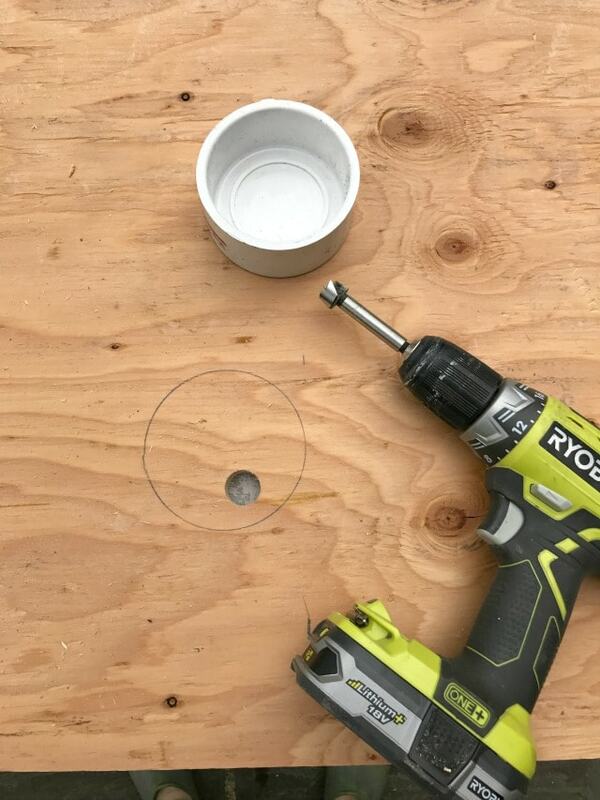 Trace the cap on the plywood where you want the hole. 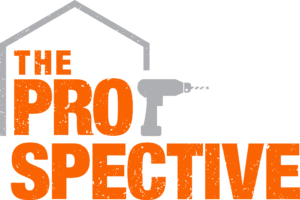 Predrill a 1/2″ hole with a forstner bit in order to fit the jigsaw blade in the space. 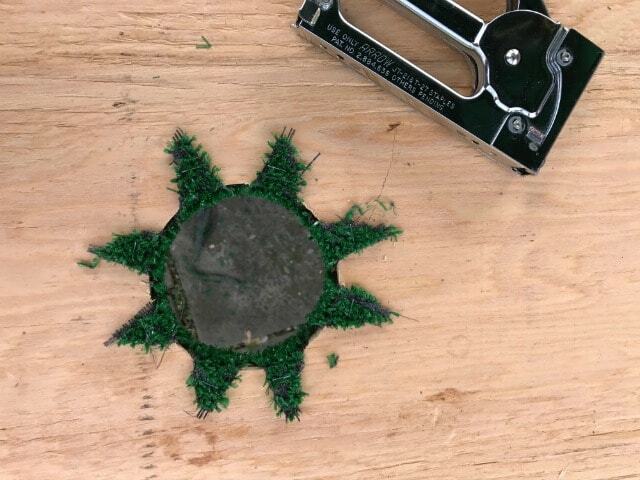 Then cut out the 3″ hole with a jigsaw. 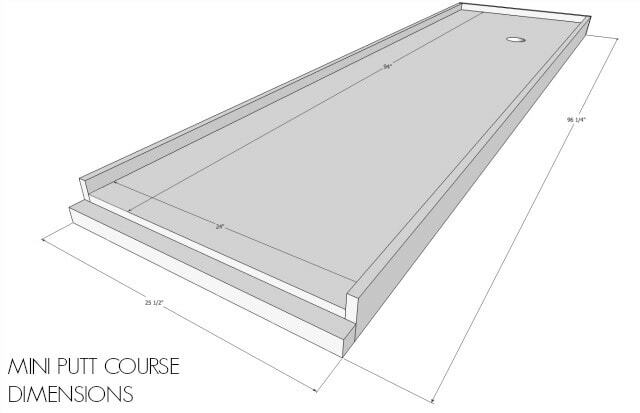 Once the turf is completely attached to all sides of the plywood cut the turf at the hole – like you would a pizza – making multiple cuts across the diameter. Then pull back the wedges and staple to the back of the plywood. 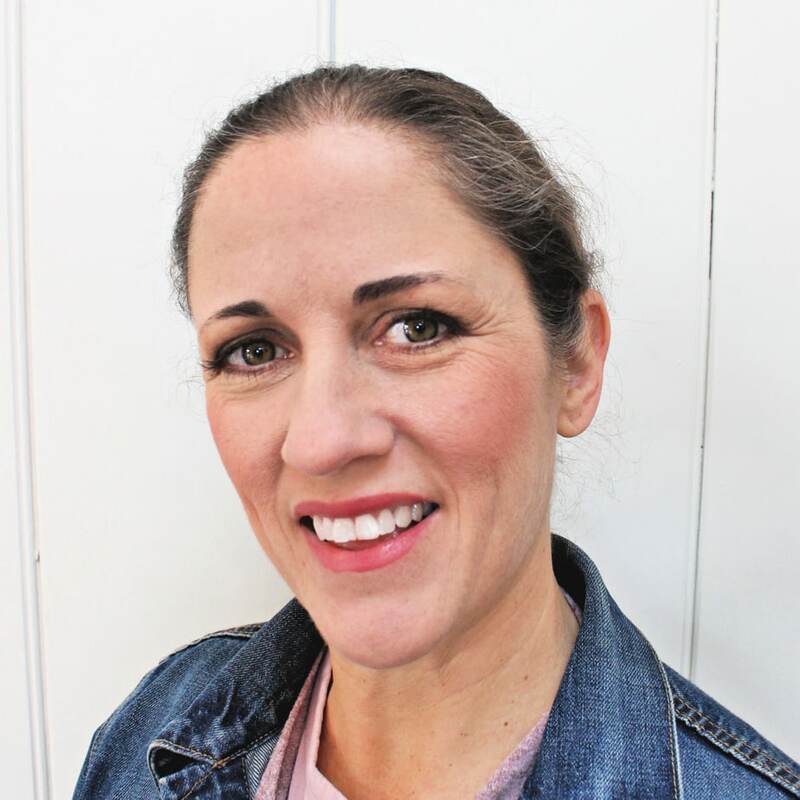 Complete the building process following the steps here. 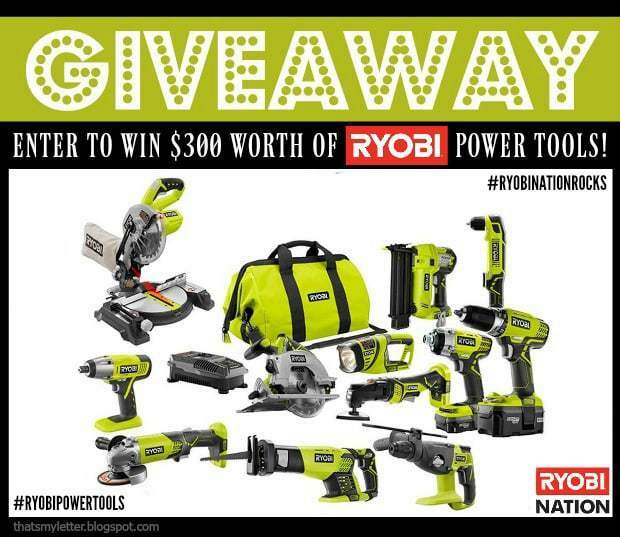 The generous folks at Ryobi are giving away $300 worth of power tools to one lucky reader! Who doesn’t want more tools? 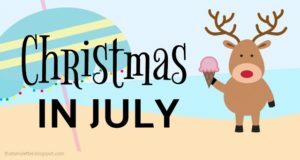 Enter the giveaway down below. Disclaimer: This post is sponsored by Ryobi Tools. I received compensation and / or product in exchange for my creative ideas however all thoughts and opinions are my own. 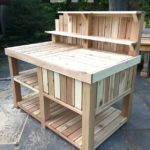 This is such a cool idea Jamie!